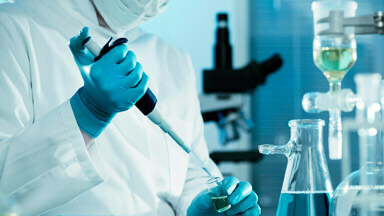 Alliance Analytical Laboratories provides consulting, testing, auditing and research studies. We are committed to delivering high quality product testing services in support of your company achieving its quality standards. All aspects of food processing including intermediate product, finished product and raw materials. 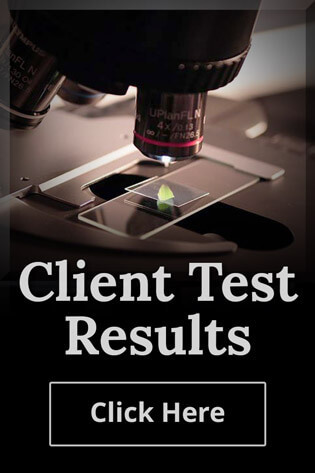 Assurance testing, developing product specifications, manufacturing process risk assessments, shelf life and shelf stability programs; food, pathogen, preservative challenge, mold testing on automotive, marine, clothing and furniture fabrics are a part of our service offerings. HACCP Development and Training programs combined with ongoing quality systems will keep your business compliant to international standards. Alliance Analytical Laboratories is a regulations expert in International HACCP standards and SQF practices. IRCA Accredited for ISO 22600:2005. We also perform recall support services, mock recalls and third party audits. State Certified FDA Lab for Interstate Milk Shippers: Antibiotic Residue, Total Bacteria Count, Total Coliform Count, Somatic Cell Count. Certified National Forage Testing Association (NFTA): Analysis by NIRS & Chemistry, National Reference Laboratory. Manure Analysis. Provides a full spectrum of food nutritional analysis by wet chemistry or data base. Product contaminant investigations for physical, chemical or biological analysis. Michigan DEQ certified for municipal and residential potable water testing. Our Water Data Management System gives you the fastest water testing results on our secured Client Results portal. Alliance Analytical Laboratories is accredited as Certified Chemists for the Tobacco & Alcohol Tax & Trade Bureau (TTB). We locally service the growing micro brewery industry in Grand Rapids and West Michigan areas. We also service hop growers who provide product to micro breweries. Sanitation products, antimicrobial intervention and field screening for antimicrobial residues. FAST Testing Products, try BmegaFAST™ sticks with our agar and disc supplies. LAST Testing for detecting antimicrobial residues in live animal urine. Alliance Analytical Laboratories provides support consultation for proper testing protocol. We specialize in cosmetic and consumer product release testing for microbials, registration studies and contamination investigations. We will support you as technical and regulatory consultants whether you are interested in industry standards or a designed protocol for any matrix you have. Alliance Analytical Laboratories offers quantitative and qualitative analysis to fit your industries’ specified needs. We test to American Automotive Standards for SVOCs, Formaldehyde release and Head Space Analysis using HPLC, GCMS, FID, TD, SPECTROSCOPY and many more methods. USTE ASTM protocol are customer specific. We evaluate mold inhibition products on fabric for automotive, manufacturing, marine and furniture industries. Alliance Analytical Laboratories is a Grand Rapids testing laboratory with national and international capabilities. Contact us today to request a quote or call us directly at (616) 837-7670.